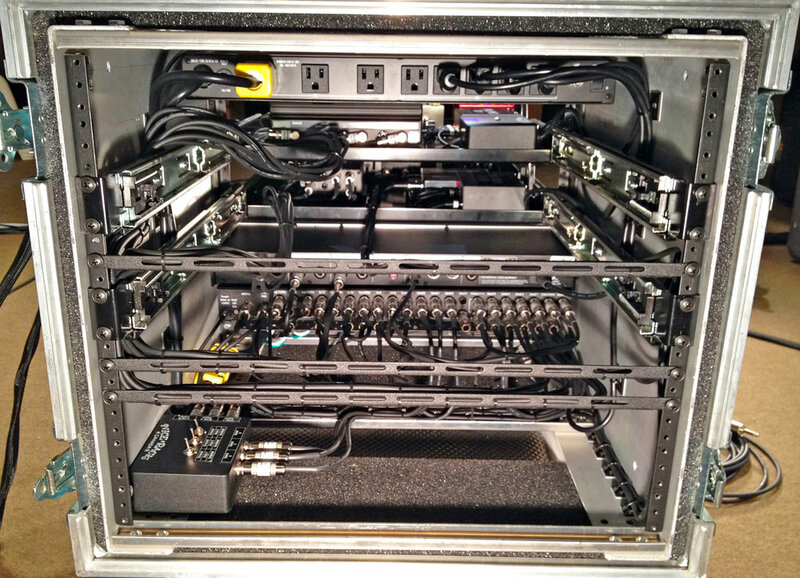 A compact rack system for Stone River guitarist, Jeff Desilets. Vintage Rock n Roll Guitar Tones with Modern Convenience. Previously Jeff had been doing a tap dance on his old pedalboard during gigs. With the nuanced 3 guitar interplay in the band Jeff wanted to focus more on performance than on operations. This rack system incorporates some of the best routing & control tools with some of the best effects devices available to today's guitarist. The system is a series wired system switched through a RJM Music . Effects Gizmo, controlled by a Custom Audio Electronics RS-T MIDI Controller. The routing is a classic Series & Parallel. Series switched Fulltone Effects FullDrive 2 >> ProAnalog Dual Drive >> Way Huge Electronics Angry Troll >> Fulltone Clyde Wah >> Jim Dunlop DVP Volume >> Hughes & Kettner RotoSphere with a parallel split of "Dry" Signal & Strymon El Capistan Delay mixed through 1 side of the RJM Music Mini Line Mixer which feeds a Eventide H9 & TC Electronic G Major 2 in Parallel mixed through the 2nd side of the Mini Line Mixer. The output of the effects chain is parallel fed to the amplifiers with the potential to switch any combination of 3 amps. 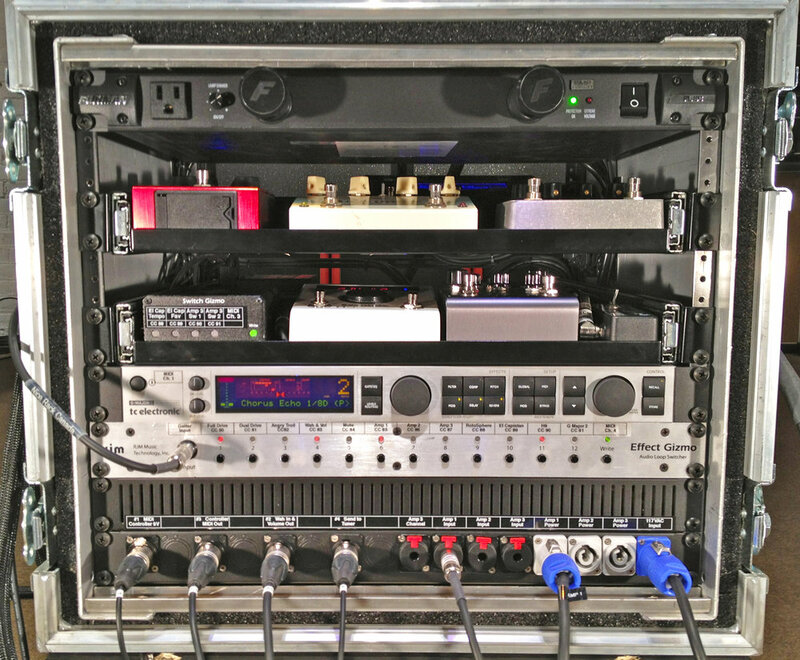 The effects & Effect Gizmo are powered by Voodoo Lab Pedal Power Digital & Iso 5, with the exception of the 12VAC 1200mA RotoSphere being powered by a Nice Rack Canada custom AC supply. System Design & Fabrication by Nice Rack Canada.